The Jesuit priest Athanasius Kircher was an authentic scientific superstar in his time, honoured with the title "master of a hundred arts" and later dubbed also "the last Renaissance man", "one-man intellectual clearing house", "the first scholar with a global reputation", "a giant among seventeenth-century scholars" and "one of the last thinkers who could rightfully claim all knowledge as his domain". He is a star in this site also, deserving as many as 3 articles, for his contribution to the topic of computers and computing. First—for his version of the Llullistic method, second—for Napier's Bones, concerning his Organum Mathematicum, and third—for Kircher's automata. So, who was Athanasius Kircher? Kircher was born at three in the morning on 2 May (on the feast day of St. Athanasius, hence his name), 1601 (or 1602, even he was unsure which), in Geisa, a small town located 26 km northeast of Fulda, Germany. Athanasius was the youngest of nine children (six sons and 3 daughters) of Johann (Johannes) Kircher of Mainz and Anna (nee Gansek), daughter of a burgher from Fulda. Two of the sons died in infancy, the other four entered various religious orders (probably the family was too poor to educate them otherwise). 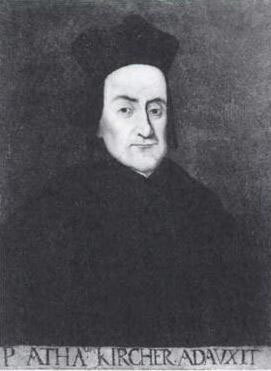 Johann Kircher, the father of Athanasius, had studied philosophy and theology at Mainz, receiving a doctorate in theology. He was called first by the Benedictine house at Seligenstadt to be professor of theology. Afterwards, he was called by the Prince-Abbot Balthasar of Fulda, who named him adviser and Amstvogt (bailiff) of Haselstein, one of the administrative divisions of Fulda. Johann Kircher administered affairs and justice for the Prince-Abbot until 1579. Thereafter he moved with his family to Geisa, where he served a two-year period as Stadtschultheiss (mayor), before to dedicate himself to scholarship, teaching and raising his children, declining all subsequent offers for political positions. Athanasius was first educated by his father and private tutors (e.g. his father hired a local rabbi to teach him Hebrew), and at the age of ten he was sent in the footsteps of his brothers to the Jesuits' Gymnasium in Fulda. Before he left at the age of 16, he had learned Latin, Greek and Hebrew, and presumably at some point had made the lifetime commitment to a monastic career. After failing in his first application, to the Jesuit College in Mainz, he was admitted as a novice to the college at Paderborn in October, 1618. In Paderborn Kircher studied humanities, natural science, and mathematics, but in early 1620s his education was interrupted by the onset of the Thirty Years War. The advance of the fiercely anti-Jesuit army prompted him, with two companions, to flee in January 1622. They struggled for many days through deep snow, penniless and begging their food, proceeded to cross the frozen Rhine river. Halfway across, a piece of ice broke loose and Kircher was carried away on it. His companions expected never to see him again. But he succeeded in swimming through the freezing water to the bank, and walking for three hours until he reached a shelter. Kircher continued his education in philosophy at Cologne and in 1623, at Koblenz, where he took up humanities and languages. In 1624, at Heiligenstadt, he studied languages and "physical curiosities." In 1625-1628, he studied theology at Mainz, where he had a doctorate in theology. While still a student, he taught to support himself. At Koblenz (1623), he taught Greek, at Heiligenstadt (1624), he taught grammar, and at Mainz, he taught Greek and conducted the choir. In 1628 he was ordained within the Jesuit order and admitted to the fourth vow, and hardly had he finished his last year of probation at Speyer when the chair of ethics and mathematics was given to him the University of Würzburg, while at the same time he had to give instructions in the Syrian and Hebrew languages. However, the disorders consequent on the Thirty Years' War (1618–1648) obliged him to go first to Lyons in France (1631) and later to Avignon, where he taught mathematics, natural philosophy, and oriental languages at the Jesuit college at Avignon. 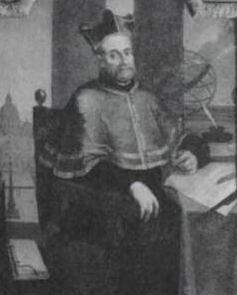 In 1633, the Holy Roman Emperor Ferdinand II appointed him to the professorship of mathematics at Vienna or the position of court mathematician (to replace Johannes Kepler as court mathematician to the Hapsburg dynasty), but Pope Urban VIII and Cardinal Barberini quickly offered him a position in Rome so that he would not go. He was appointed professor of mathematics, physics, and oriental languages at the Collegio Romano (now the Pontifical Gregorian University). He resigned after 8 years and returned to independent studies, undertaking such independent studies for 46 years of his life. He was supported in Rome by Papal as well as other patronage. In 1656, the Black Plague swept across Western Europe and Italy, and Kircher spent most of his time nursing the ill and attempting to find a cure. He examined the blood of his patients through a microscope and thought that the plague was caused by vernimuli in the blood. What he might well have seen was large bacteria in the contaminated blood specimens rather than the much smaller plague bacillus (Yersinia pestis). Despite this error, Kircher's work is notable as the first attempt to apply the microscope to finding the cause of a disease and the first mention of a germ theory. Kircher was not only a brilliant scientist, but also a "business oriented" and very influential man. He is one of the first scientists who was able to command support through the sale of his works. Sometime around 1660 he sold exclusive rights to publish his books to a prominent Dutch publisher for a large sum of money. Kircher apparently understood the patronage game very well, let's mention only some of his patrons—popes Urban VIII and Alexander VII, Holy Roman Emperors Ferdinand II and Ferdinand III, Christina, Queen of Sweden, etc. For example his books on magnetism (1640) and the Egyptian language (1643) he dedicated to the Emperor Ferdinand III, who not only paid for the printing of his books, but also granted Kircher a pension. Kircher's notable Museo Kircheriano (Museum Kircherianum) was founded in 1650 with a donation from Alfons Donnius, secretary of the Roman Senate and people. From a wide variety of nobles and rulers, he received extensive gifts of stuffed animals and birds from the new world for the museum. A visit to the "Museum Kircherianum" with skeletons, sculptures, paintings and mechanical equipment as were soon indispensable part of a visit to Rome. 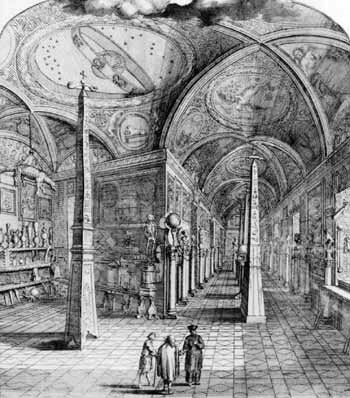 Athanasius Kircher died in Rome on 27 November, 1680, and was buried in the Church of the Gesù. He left behind numerous manuscripts, notebooks, and a voluminous backlog of correspondence, much of which was published piecemeal over the following decades. Although Athanasius Kircher is known for a number of innovations, the vast majority of his output consisted of compilations of already known material. His interests ranged widely over both the humanities and the sciences, and his most significant contribution was in the dissemination of this knowledge.